We offer 24 hour Emergency Services to both commercial and residential customers in Southwest Florida. 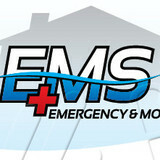 Emergency and Mold Specialists is fully licensed and insured in the state of Florida. Our licenses even cover pollution. The professionals at Emergency and Mold Specialists have over 15 years experience in the indoor air quality industry. We are marble and bronze craftsmen experts in the repair and restoration on marble and bronze home and garden art. We can repair your elegant marble fireplace. We can restore your bronze garden water fountain. 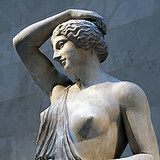 We can repair to your beautiful marble or bronze statue. We also offer maintenance services in our local area. 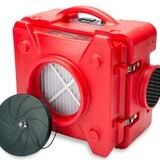 Visit <a rel="nofollow" target="_blank" href="http://www.HepaAirScrubber.com">http://www.HepaAirScrubber.com</a> or call 800-391-3037 for lowest price and cost for Cape Coral FL Air Scrubber Rentals today! Red Sky Rentals provides comprehensive equipment rental solutions for all of your immediate disaster, water damage and fire restoration needs nationwide. Our portable air scrubbers are ideal for homeowners and contractors dealing with the effects of fire, smoke or water damage. We can quickly provide the disaster cleanup and remediation equipment you need. Water Mold & Fire is who the people of Fort Myers turn to when their home or business needs water damage restoration, mold removal, or fire damage restoration services. Our company is standing by 24 hours a day, 7 days a week, 365 days a year to make sure we are available when you need us most. These problems often happen when least expected, so it is important to have immediate response available to avoid even bigger problems down the road. So if you are currently experiencing these types of issues in or around Fort Myers at your home or business, give us a call. Patriot leads in the use of advanced, cleaning technologies and proven, restoration techniques. Your best choice in restoration specializes in the mitigation of property damage and promotion of indoor environmental quality. Patriot's trained technicians and professional staff work diligently to ensure disheartened homeowners and property managers affected by water, fire and mold damage, recover from disaster quickly and without hassles. SERVPRO of Naples / Marco Island is a trusted leader in the restoration industry, and our highly trained technicians provide 24-hour emergency service. We’re dedicated to responding faster to any size disaster with the training, equipment, and experience to respond to your restoration or cleaning needs. Floods of SW Florida, Inc.
Floods of SW Florida, Inc. has the skills needed to remove water and/or mold from your residential or commercial space. Floods provides complete mold remediation and drying systems to make your home or workplace safe again. Benefit from our prompt, 24/7 emergency services during your time of need. 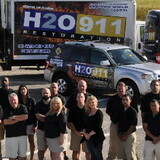 Just Floods is Florida's most reliable emergency water service company. We have the latest water removal and drying technology in the industry, as well as over 25 years of experience in emergency water damage restoration for Florida. First Call Restoration Team Members are experts in Property Damage Restoration Services. First Call Restoration is a leading provider of Property Damage Restoration Services. Experts in flood, water, fire, storm damage clean up, mold removal and remodeling services for residential and commercial properties. Available 24/7, the FCR team is cleaning up and restoring damaged residential and commercial structures. Naples Pressure Washing and Sealing began in 2012 when Doron Nudel, the owner, decided to help a friend and found that he enjoyed creating the beautiful results as much as the homeowner did. He began his business in Collier County, and until recently gained all his clients through word of mouth and pleased customer referrals. Today, Naples Pressure Washing is a full time business and services many areas of Southwest Florida including Naples, Bonita Springs, Estero, and Marco Island. At Naples Pressure Washing, we pride ourselves on not only doing a good job, but a PERFECT job, to pressure wash and seal your outdoor living spaces. We have a 100% customer satisfaction guarantee, if you are not 100% satisfied, you do not pay. It is a strict policy, but no one has ever had to use it! We stand behind our work not only because we do it well, but because we love to do it. Our attention to detail is unsurpassed by our competitors, not only because of our knowledge and experience, but because we take as much pride in our work, as you do in your home. Expert pest control in Bonita Springs FL to help you in your fight against the pest menace! Pestmax Pest Control was built on providing the highest quality service available at a fair price. We offer pest control, termite extermination, fumigation tenting and bed bug removal services in Bonita Springs FL. Your calls are answered by real people that live where you live. We are big enough to be your complete pest control solution, but small enough to give individual attention that you deserve. We are here to help you in your fight against the pest menace! Serving Estero FL and more! Pestmax Pest Control was built on providing the highest quality service available at a fair price. We offer pest control, termite extermination, fumigation tenting and bed bug removal services in Estero FL. Your calls are answered by real people that live where you live. We are big enough to be your complete Estero pest control solution, but small enough to give individual attention that you deserve. You Need Pest Control! You’re here because you have pests and you want to get rid of them. Ants, cockroaches, bees, bed bugs, rodents, termites, spiders--you name it. When pests invade your home or yard, it’s natural to be grossed out, afraid, or anxious. Most of our customers tell us that they’re disgusted by the thought of pests near their food, family, and pets. They want the critters eliminated immediately, before they have to endure any more lost sleep, annoyance, or embarrassment. Does this sound like you? If so, you’re in the right place! Get Your Home Back! If you’re like most people we help, you want to feel safe and enjoy your own home again! You want your bug-free life back now, and you want it to stay that way. But how do you choose the right kind of pest control to get it done? Pestmax Pest Control was built on providing the highest quality service available at a fair price. Your calls are answered by real people that live where you live. We are big enough to be your complete pest control solution, but small enough to give individual attention that you deserve. Has your Vineyards, FL home been damaged by a flood? Or do you have to deal with mold removal? Environmental services and restoration professionals can help with everything from supplying you with mold test kits to helping restore and rebuild your Vineyards home, returning it to its original condition. Find environmental services and restoration professionals on Houzz. Narrow your search in the Professionals section to Vineyards, FL residential environmental testing and home disaster restoration services to find a list of qualified professionals. Read through professional profiles for information on qualifications, experience and services provided.